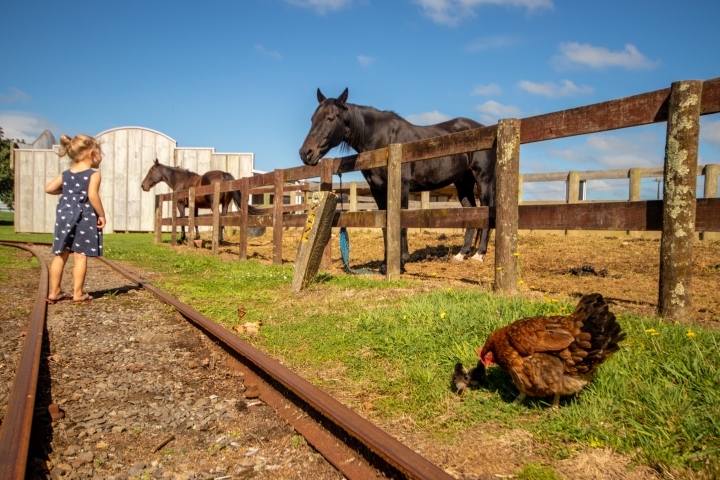 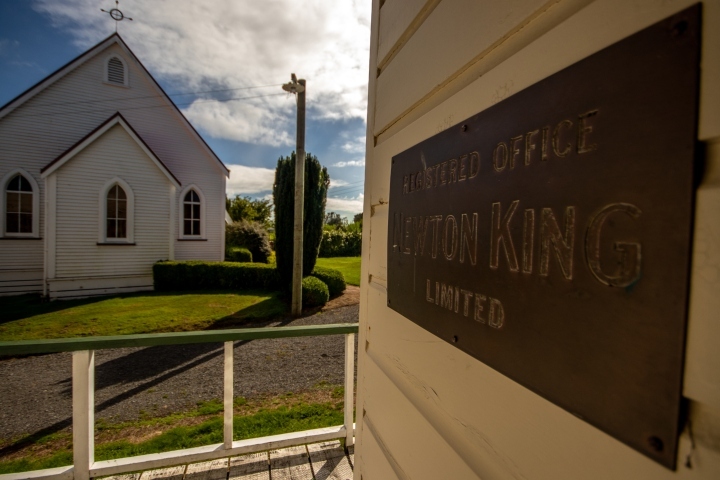 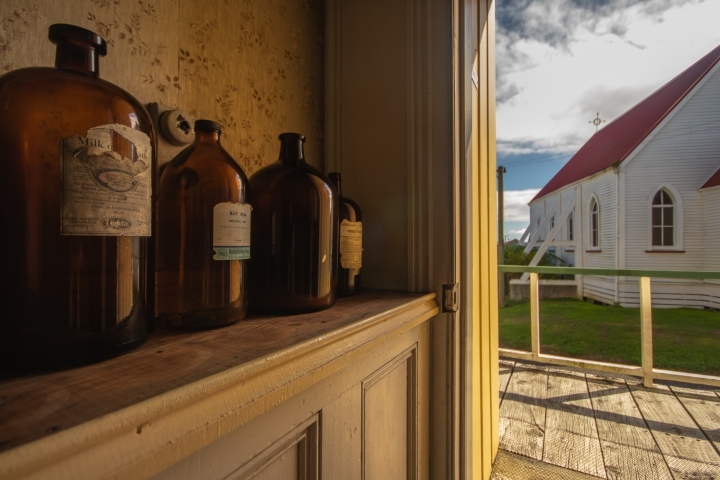 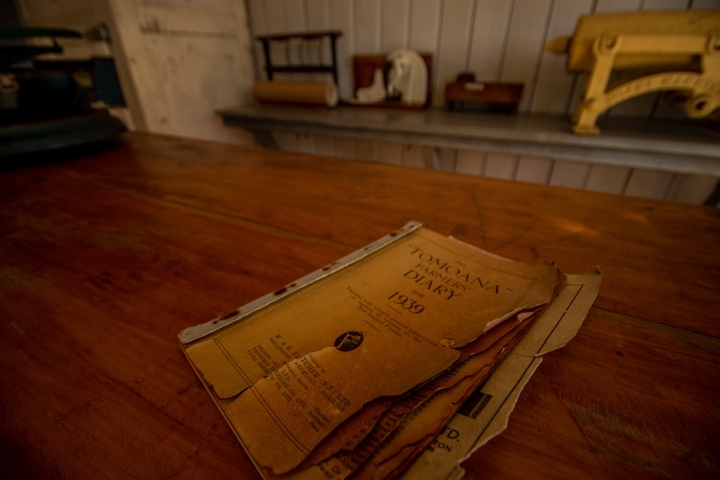 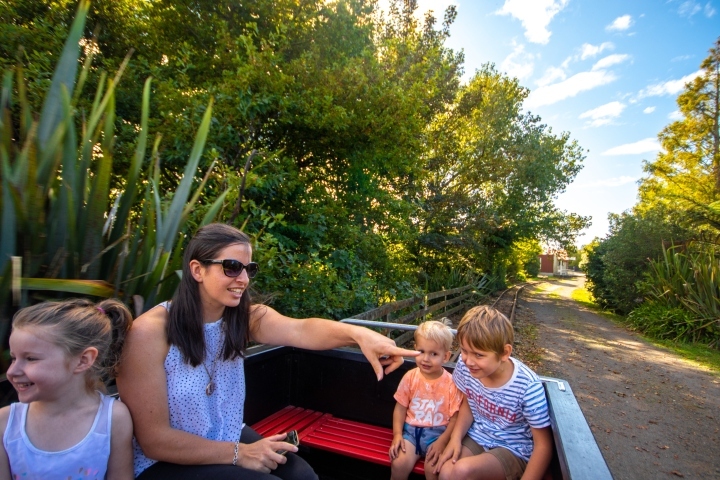 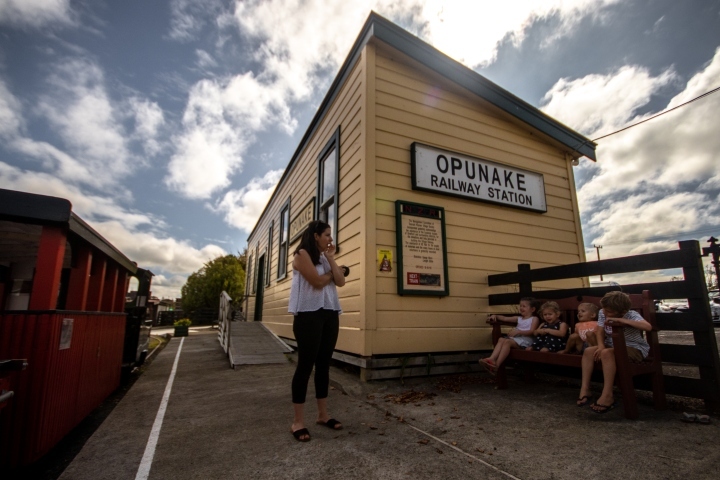 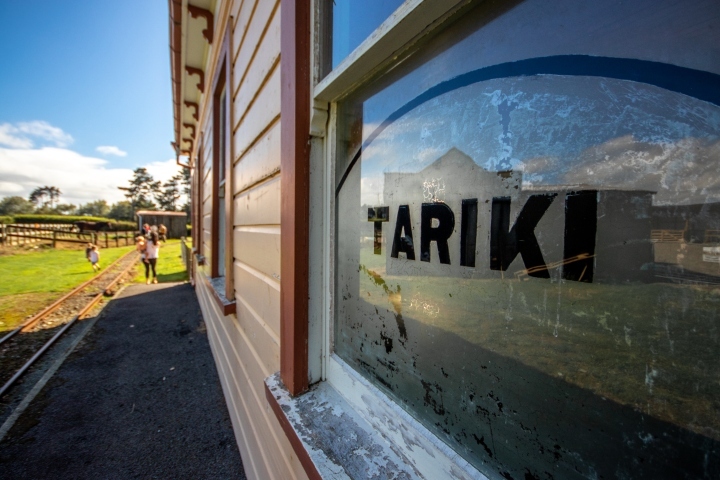 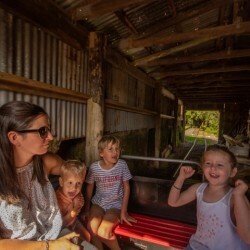 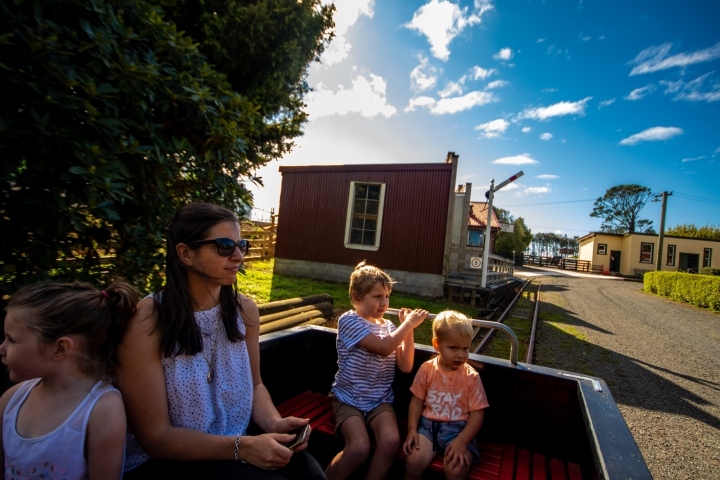 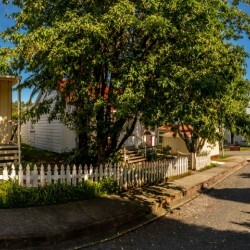 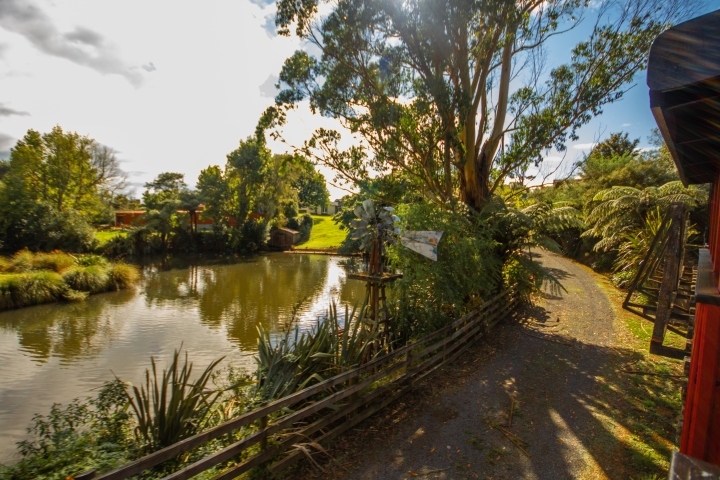 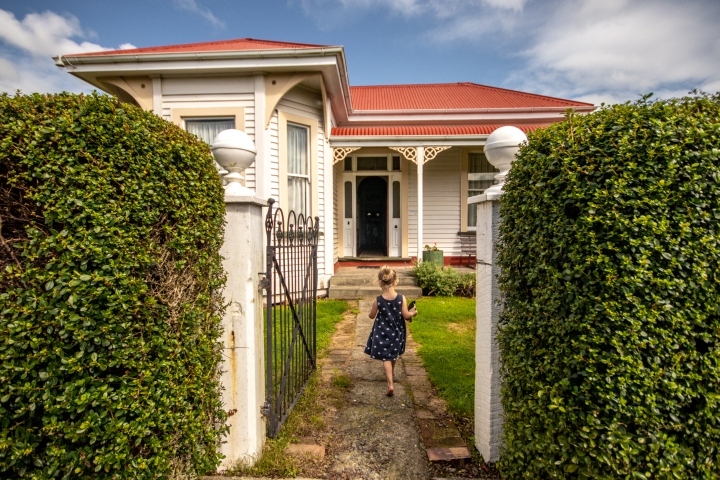 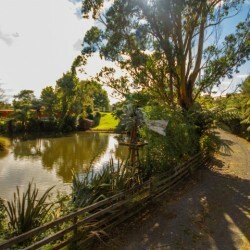 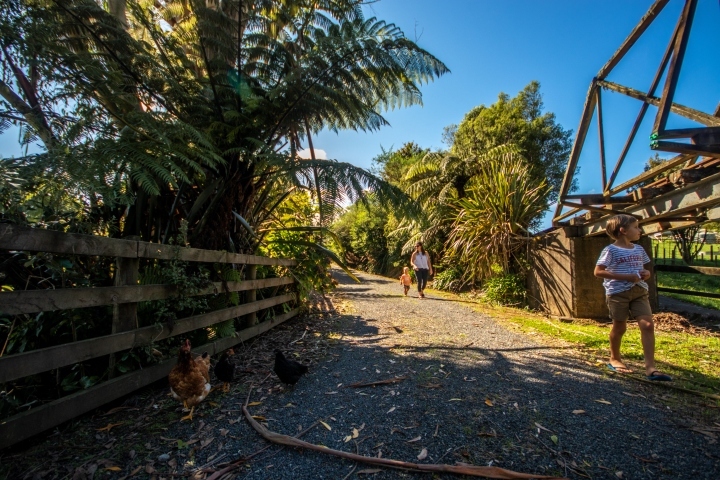 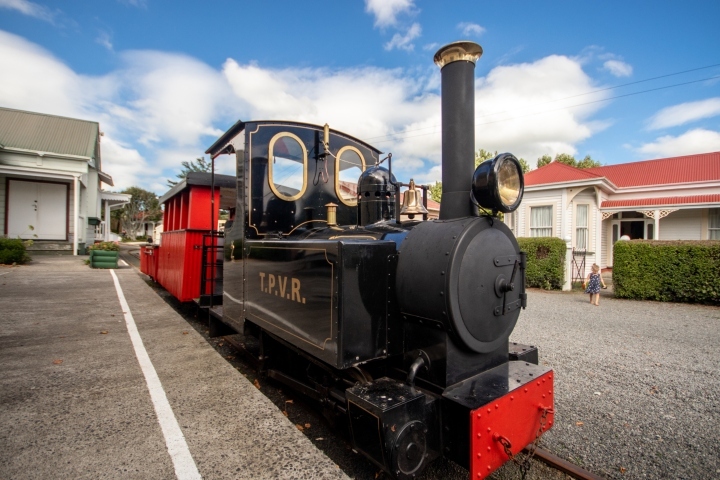 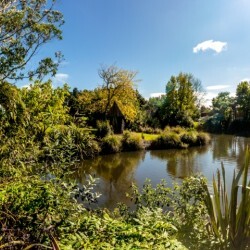 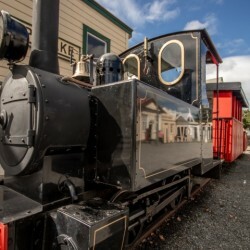 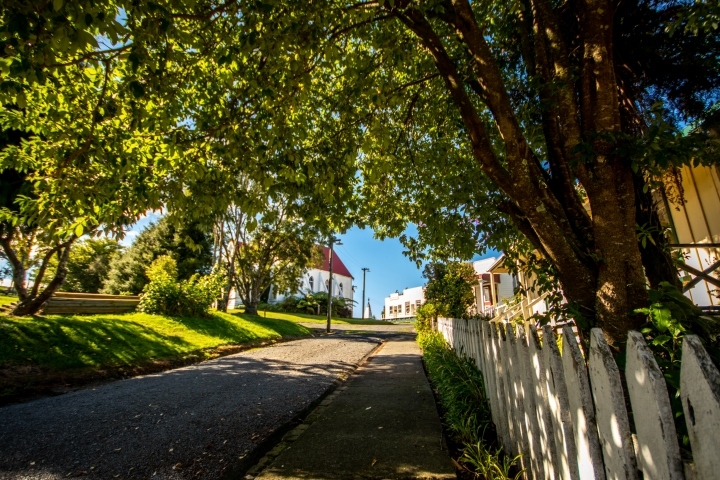 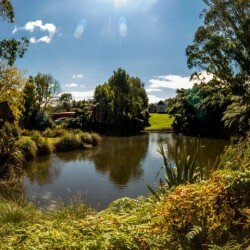 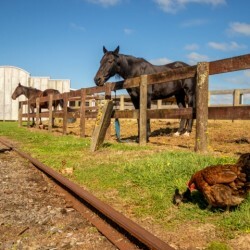 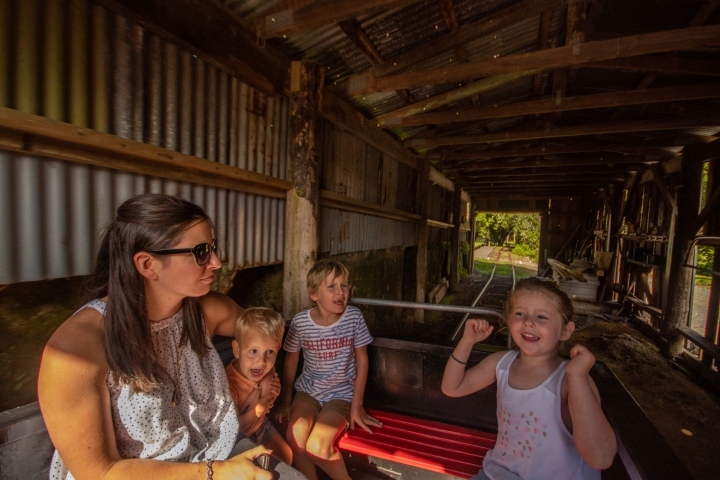 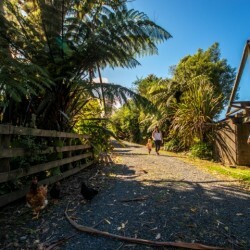 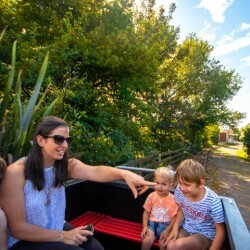 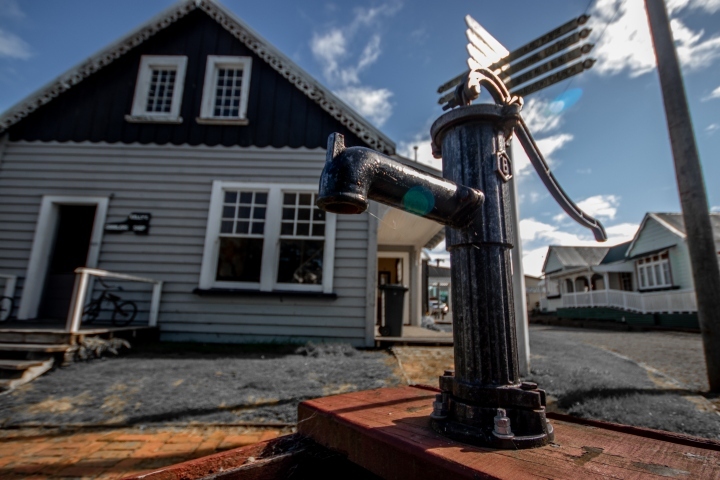 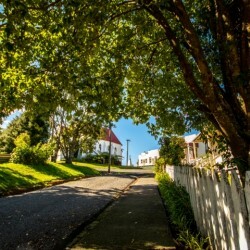 This adventure invites you to take a step back in time, and experience how life looked and felt for Taranaki pioneers living in the 19th - 20th centuries in New Zealand. 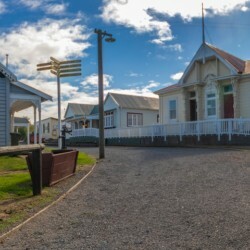 Pioneer Village was developed in 1976 and is one of the largest open air museums in New Zealand, and it sure lives up to its name. 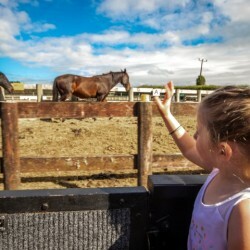 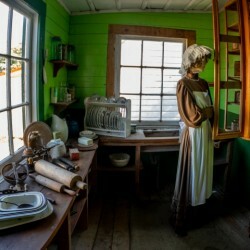 Pioneer Village is a wonderful way to spend the day, and is an adventure that truly offers something fun and exciting for everyone, young and old. 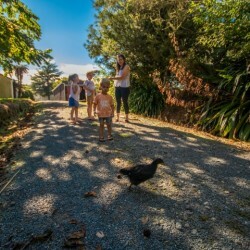 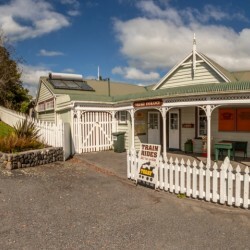 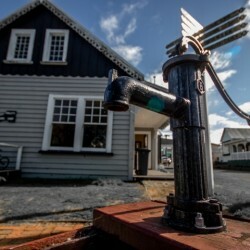 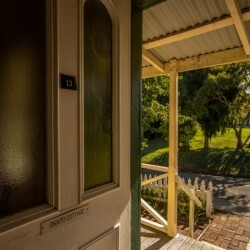 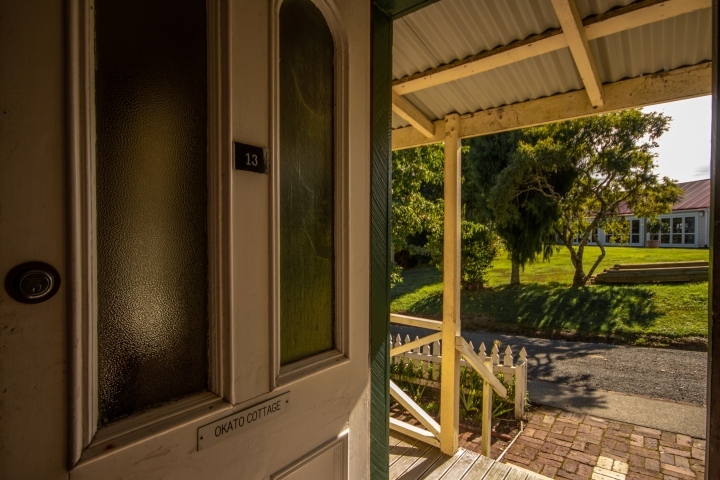 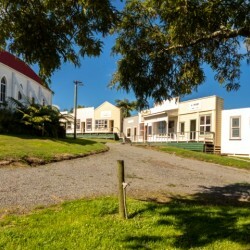 The quaint village is set on a four hectare site, with 40 authentic buildings that date back to 1853. 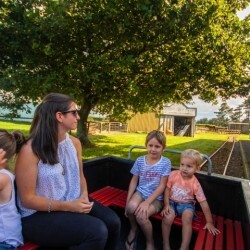 Some highlights include the agricultural barn which houses vintage tractors, thresher and stationary engines. 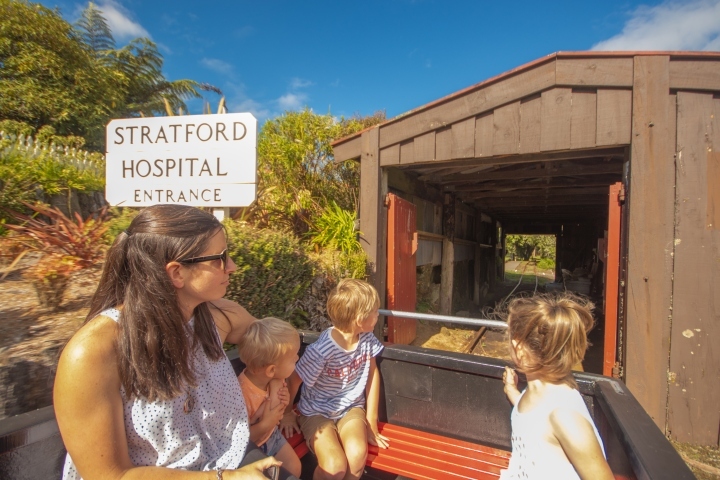 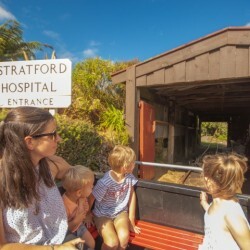 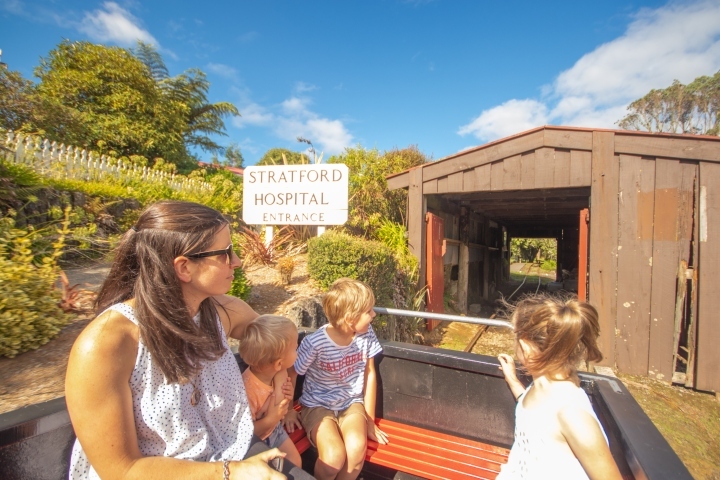 The Stratford hospital museum gives you a glimpse into the way nurses and doctors worked, and the hospital environment compared with today. 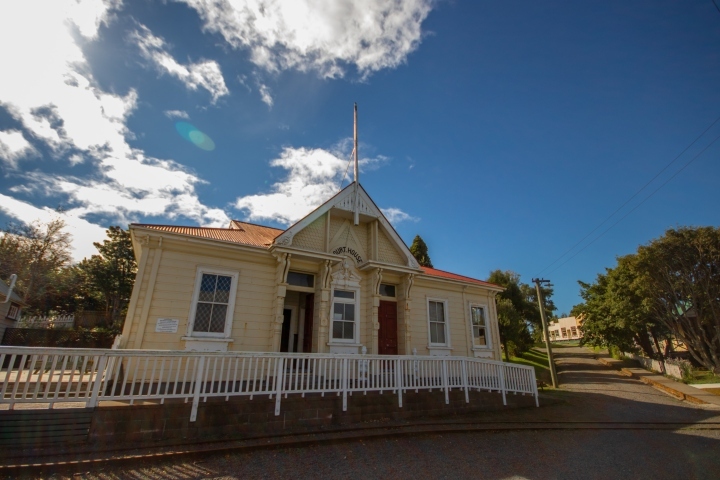 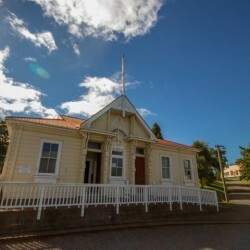 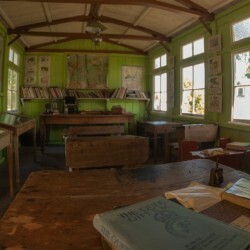 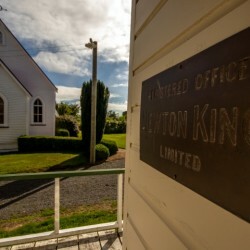 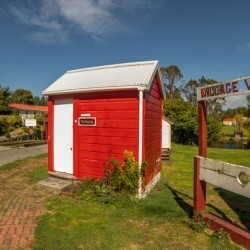 The Kaponga jail house is always an amusing favourite as is the old Pembroke School, with its wooden desks and ‘old school’ set up. 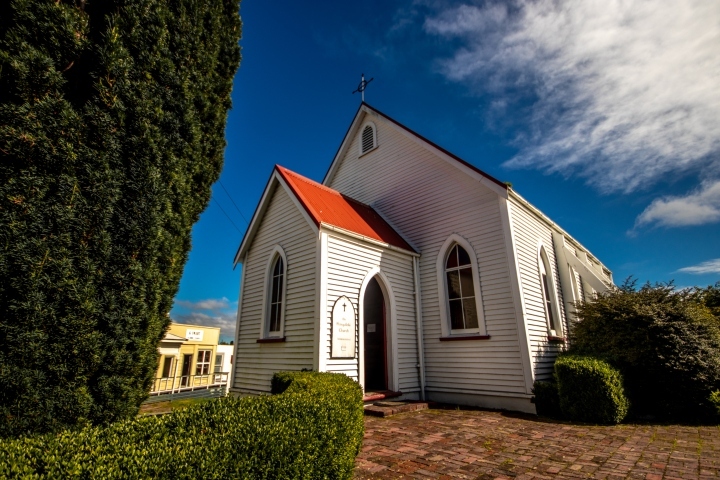 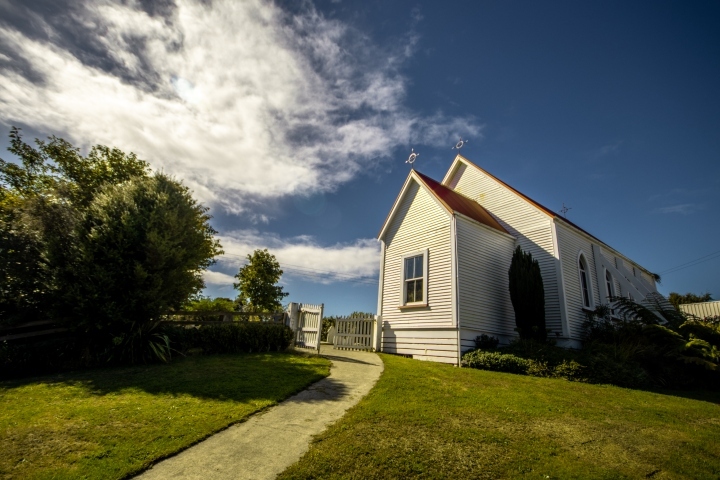 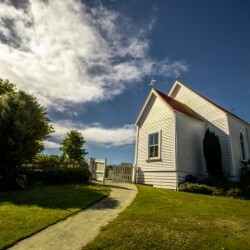 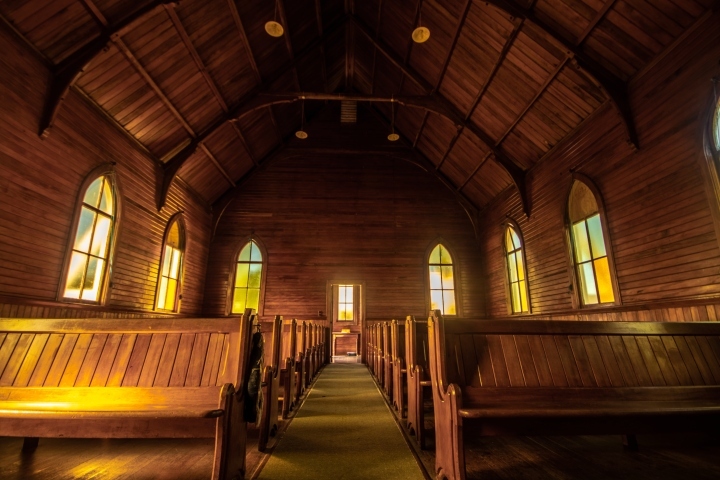 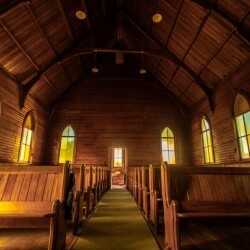 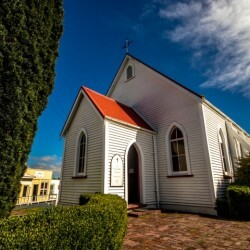 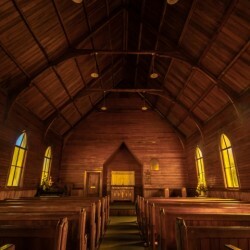 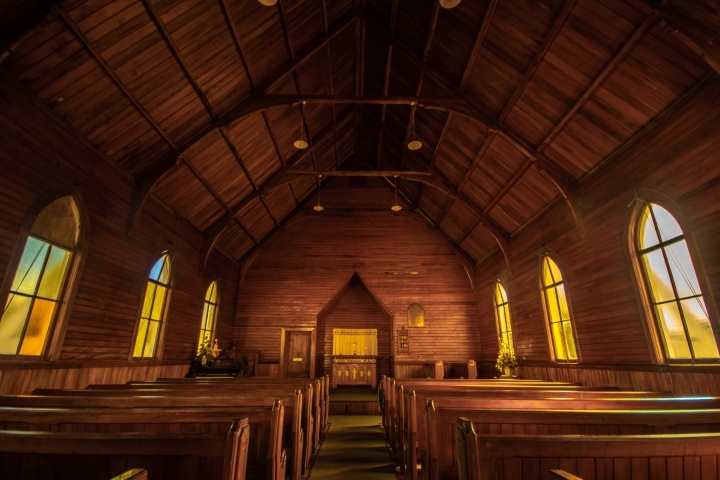 Pioneer Village also hosts wedding ceremonies in a romantic setting up on the hill, in the exquisite Mangatoki Church of 1904. 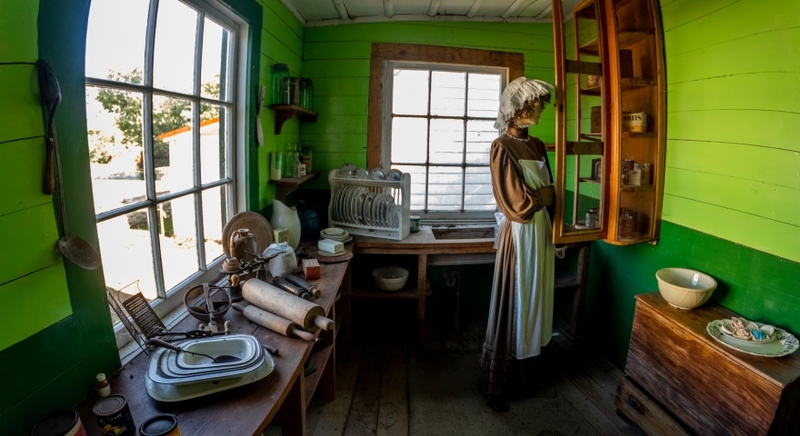 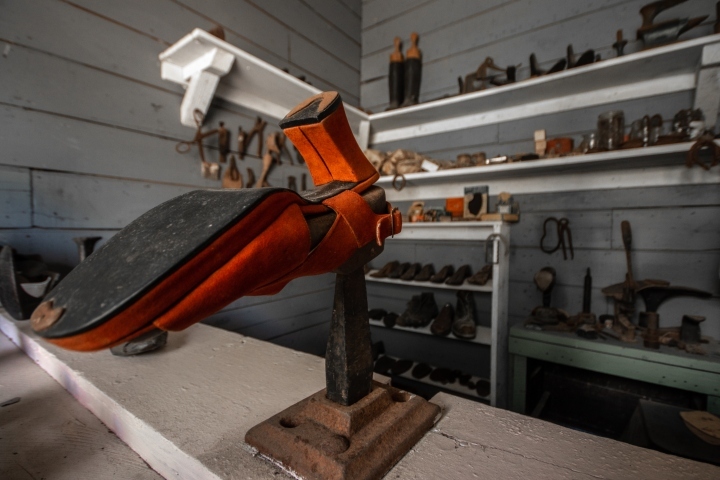 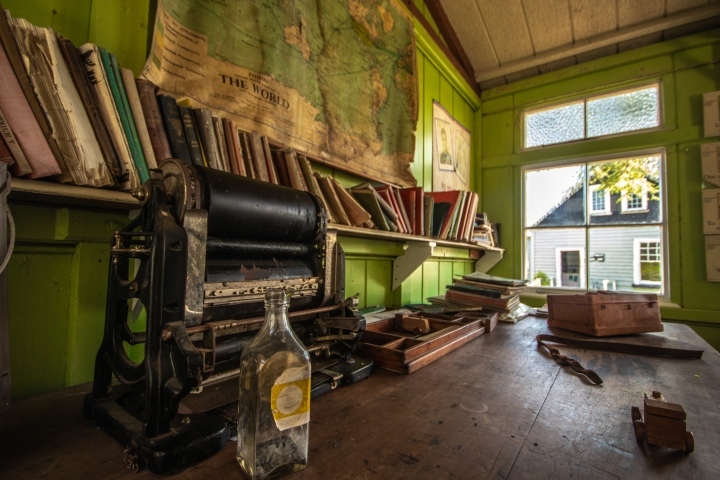 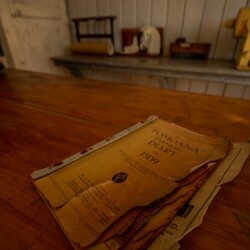 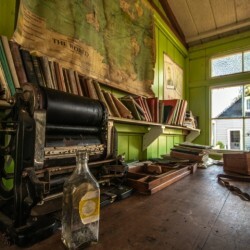 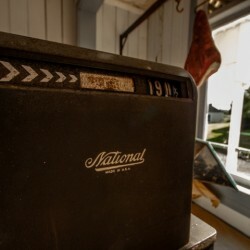 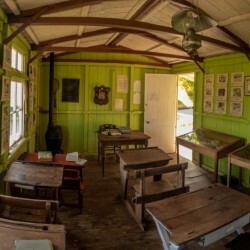 Pioneer Village is a museum created not just for looking, but for a hands on experience where visitors can play a piano, pick up a phone, and be immersed in the 19th and 20th century environment. 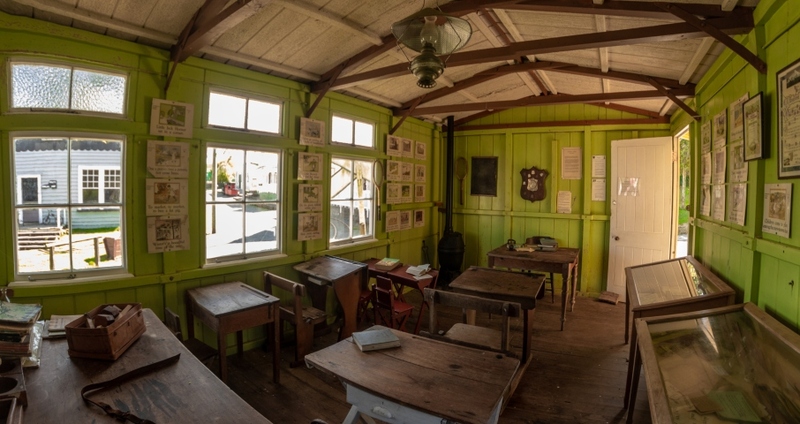 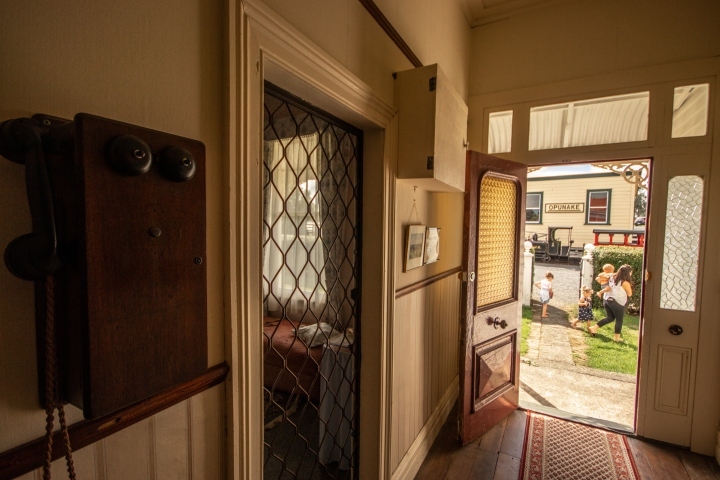 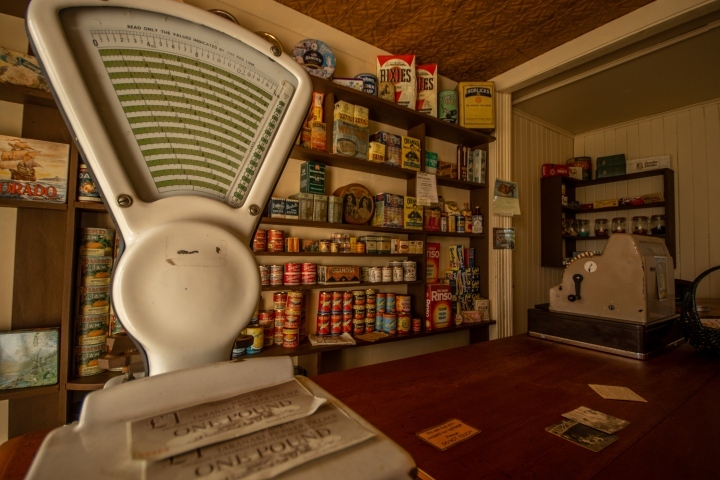 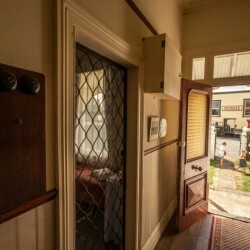 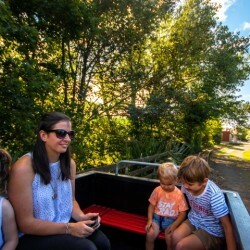 Children will love the interactive displays and marvel at how they lived ‘back in the day’, while it can be a nostalgic experience for the older generation, as they reminisce and identify with the ways of living. 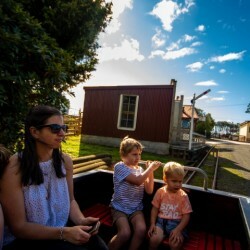 A ride on the Pioneer Express train is a must do. 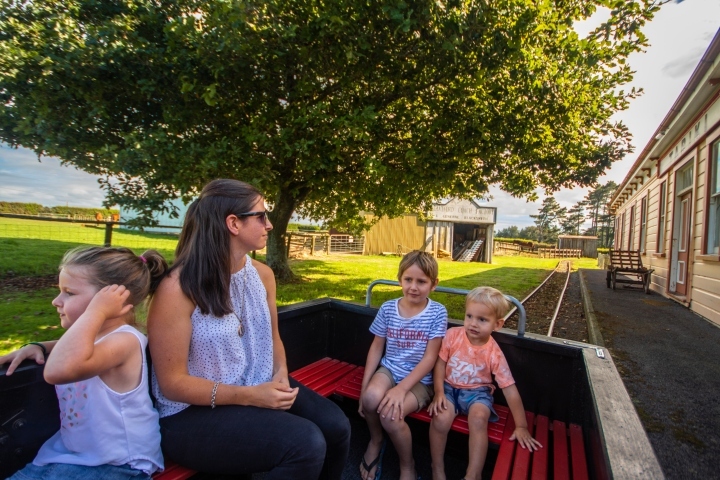 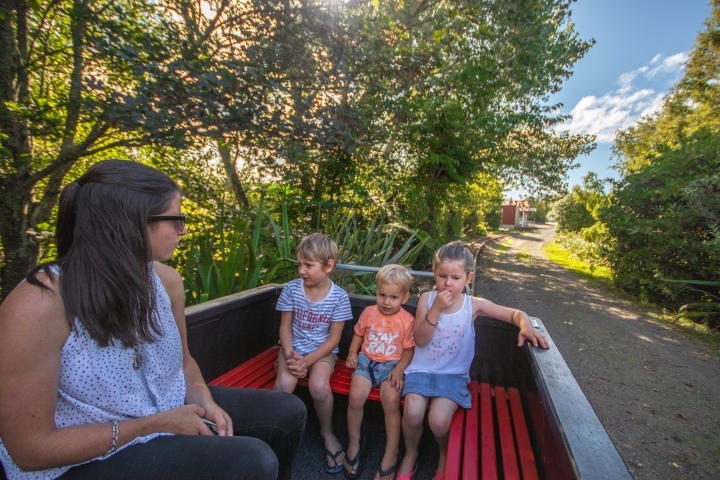 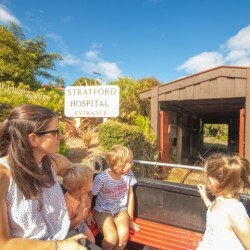 The train is similar to those that would have been used in Stratford in the 1920’s and is always a child’s favourite feature. 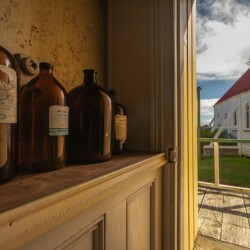 It gives a scenic tour of the village, while itself being a part of the museum’s history. 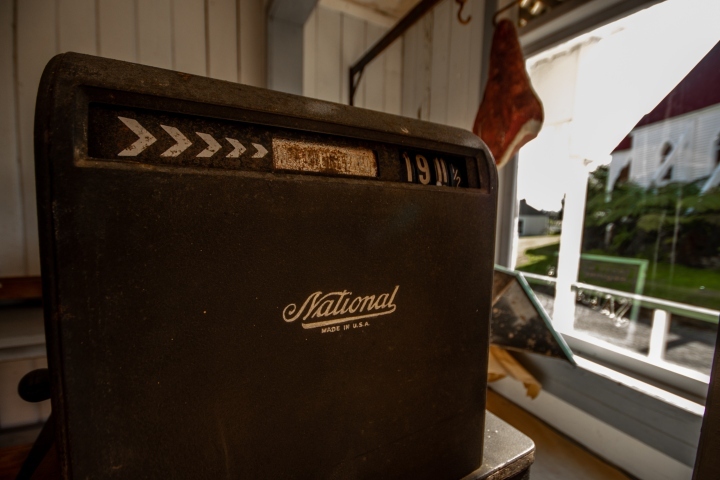 As you explore Pioneer Village you’ll come to the lake with a historic working waterwheel and water ram. 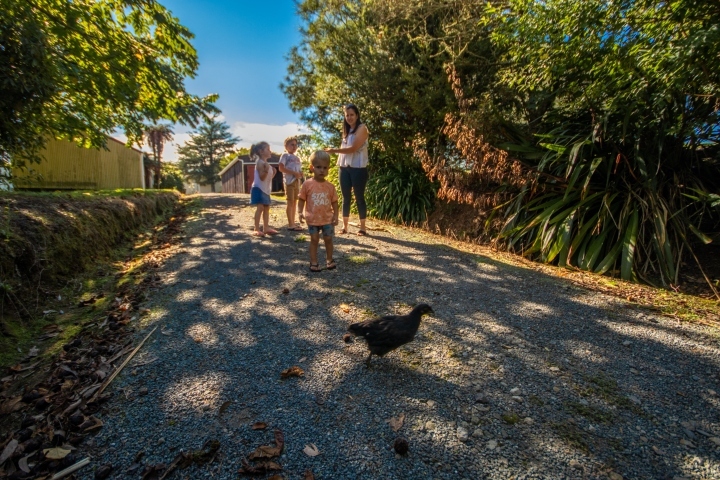 And not far from there you’ll meet the friendly sheep you can feed by hand, and the cheeky chooks will no doubt run over to greet you. 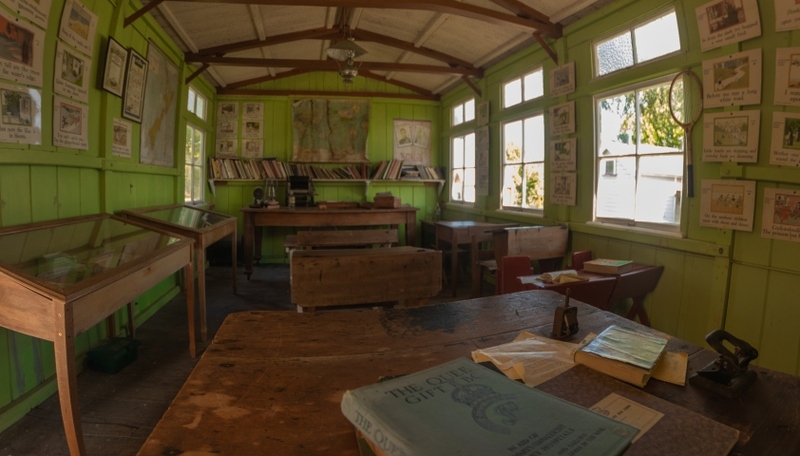 At the end of your adventure through time make sure to visit the onsite Cafe, Shakee Pear. 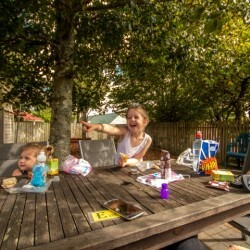 Open for breakfast, lunch, and delicious treats you can enjoy the beautiful food and coffee, while a playground outside in the cafe garden is perfect for children. 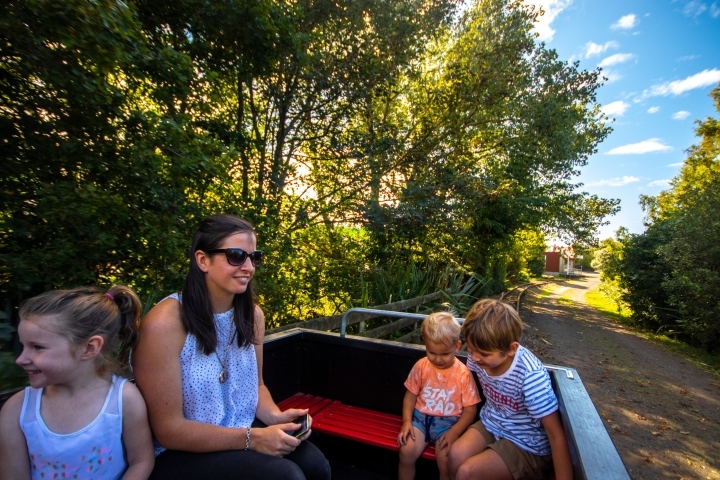 Book your experience online, or simply turn up and enjoy. 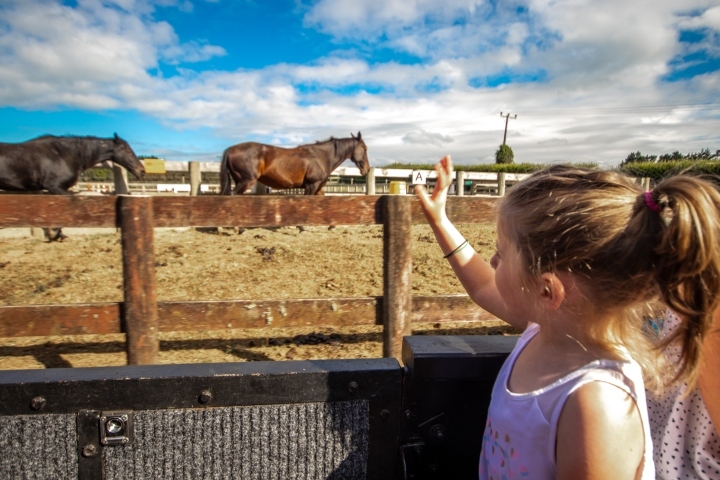 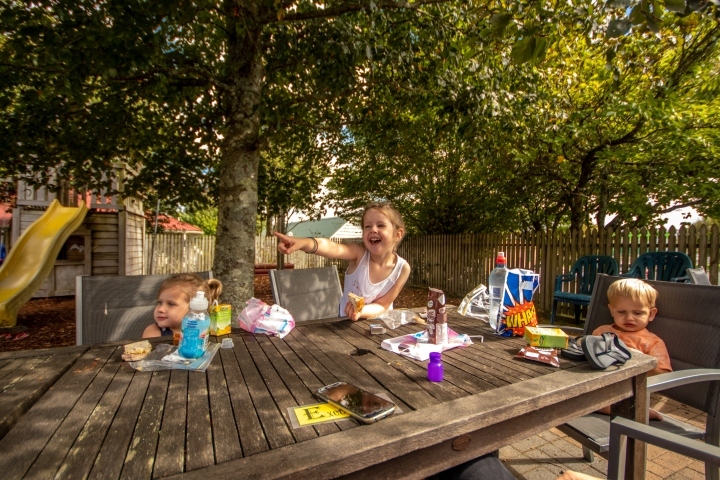 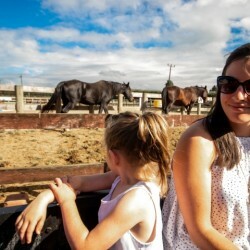 This experience has something for everyone in the family, for a day out like no other. 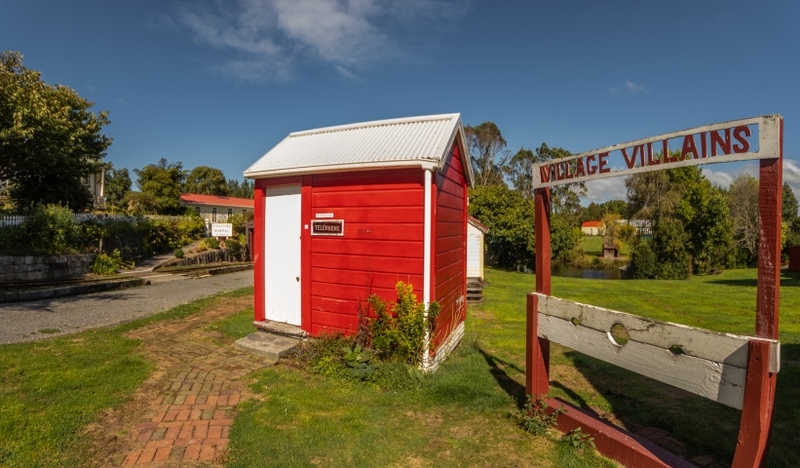 The Village is open seven days a week 10am - 4pm, and is closed public holidays. 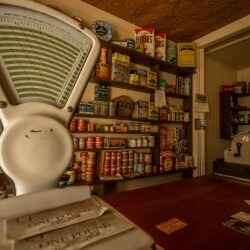 Yes, Shakee Pear cafe is open earlier, from 8am - 4pm seven days a week. 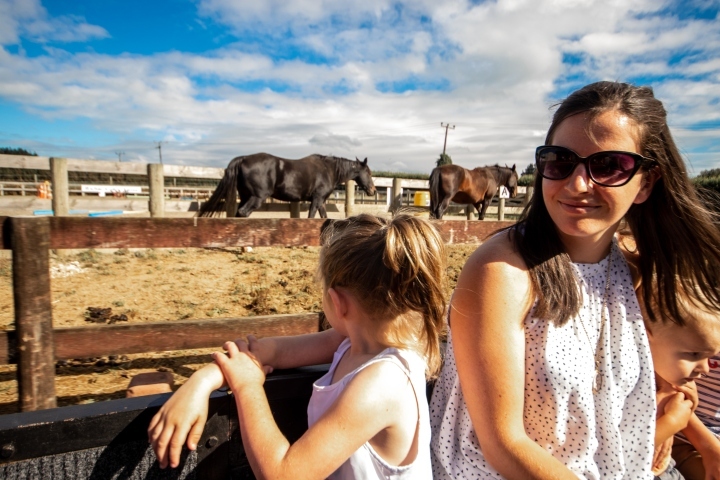 11am, 1pm and 3pm every day the village is open. 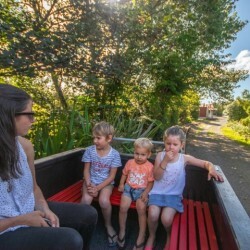 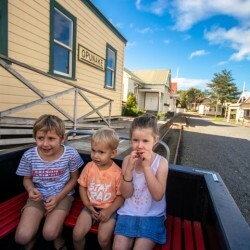 The cost of the train with entry to the Village is $3. 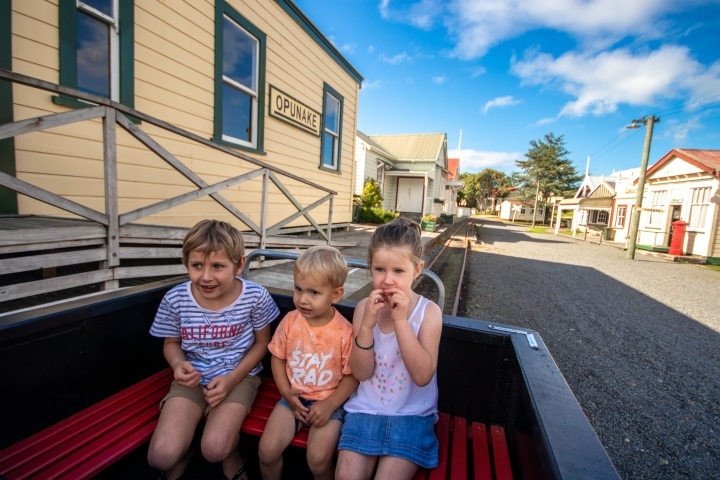 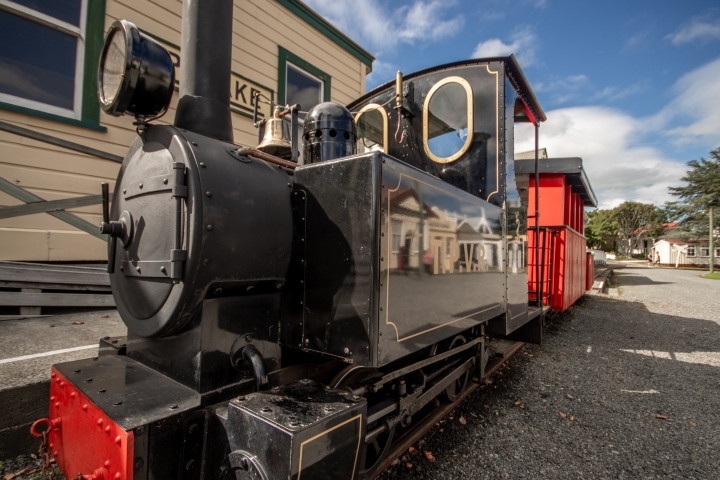 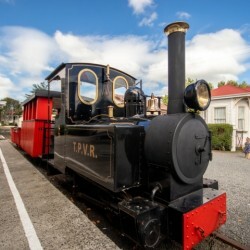 Or if you are visiting for a train ride only, with no entry into the village buildings, the train is $5.